Our Christmas Fair is back for its fifth year and it is going to be bigger and better than ever before. 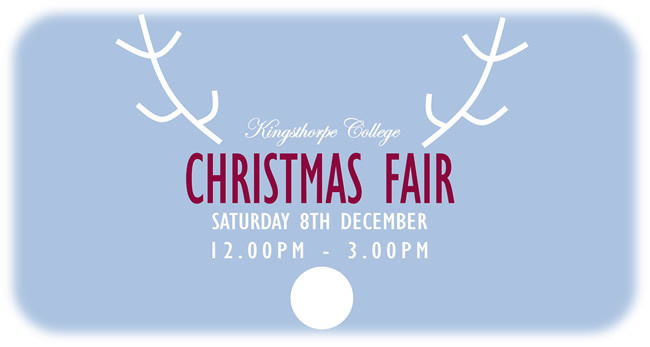 It will be taking place on Saturday 8th December from 12-3pm. The event will be spread over three large indoor halls as well as an outdoor area for fairground attractions. The main hall will be filled with over 50 stalls selling a huge range of goods, creating an exciting and diverse Christmas experience. It will be the perfect place to find unique Christmas gifts, homemade decorations and delicious food treats. The other two halls will have lots of fun activities for children, including go karting, fete games and face painting. There will also be a range of festive performances running throughout the duration of the afternoon. FREE ADMISSION & FREE PARKING – ALL WELCOME!